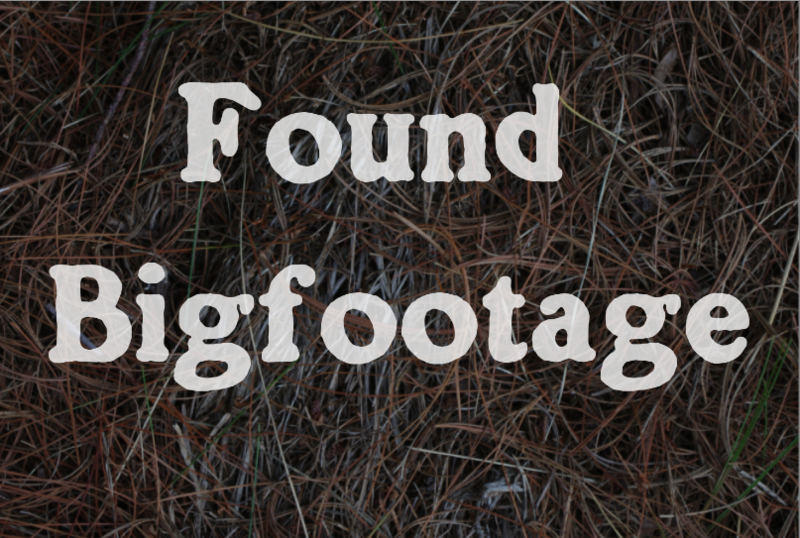 Found Bigfootage is a sort of reverse-stealth game. It was made in 48 hours for Ludum Dare 33. The theme was "You Are The Monster". 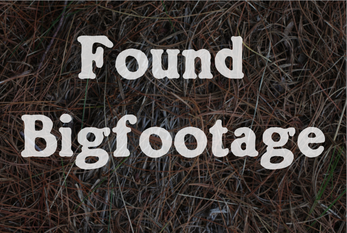 You are Bigfoot. People keep bothering you with their video cameras. And they won't leave until the camera is full. But you hate being recorded. So, you have to trick them into recording a blurry, grainy mess. Reveal yourself, then disappear into the forest. If you're successful, you'll remain as a blurry rumor. Fail, and you might end up on the home page of youtube. When an enemy sees Bigfoot, they will start filming and you will get points. Your score multiplier is based on how bad the footage is. Longer distances will increase your multiplier. 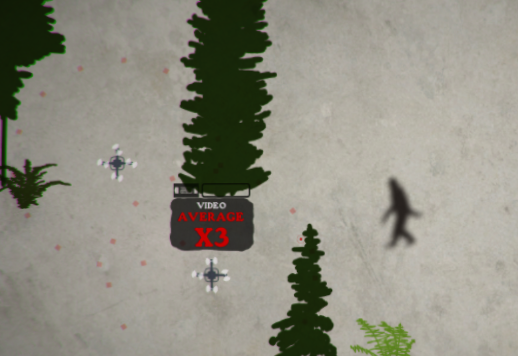 The multiplier will also get +1 for every tree or bush between Bigfoot and the camera. You get a letter grade at the end of each level, and all of your grades will be displayed at the end of the game. If you get straight-As, then you did as good as I did. If you get an even higher score, those As will become A+ with more and more +s for higher and higher scores. If you beat the game, post a comment with your final score! There is a minor bug where the "video" bar above enemies will always appear empty after the first level. I'll probably fix that eventually. 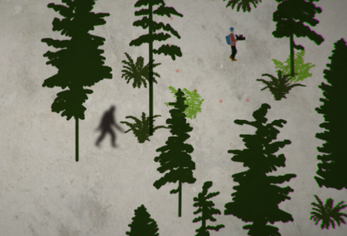 Controls: arrow keys or WASD for movement. Spacebar or enter progresses through the title/intro/win/lose screens. I made the game in Unity with C#. No plugins or Asset Store stuff. Vector graphics were made with Inkscape, and a few were modified with GIMP. The Inkscape .svg files are included with the source.